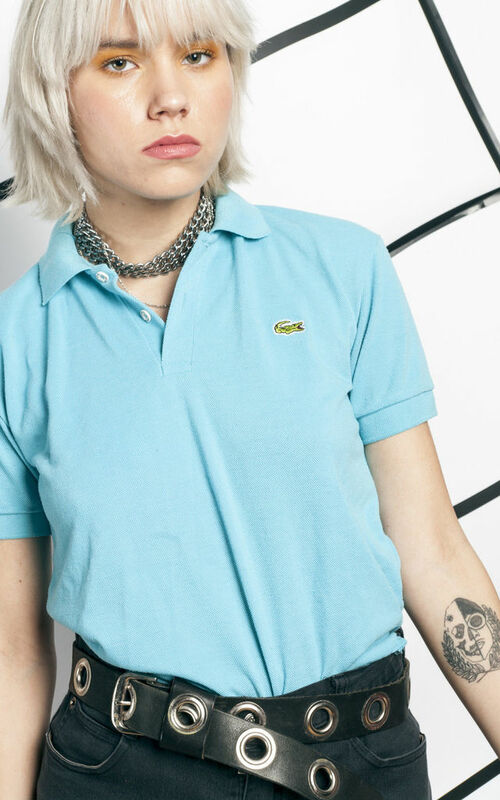 Pale turquoise Lacoste tee with the lil croc at front. It was made back in the 90s and survived in a good vintage condition -- it shows only some light pilling. width (seam to seam): 47 cm / 1' 6"